""The real fear I experienced was not for myself, it was for the one I love. Now, in Russia, holding hands is dangerous for us. But if the goal of these attackers was to separate us, they failed. They only made our relationship stronger." - O. @hammond_robin traveled to seven countries where persecution of #LGBTI people is widespread. In each place, local activists introduced him to survivors of discrimination like D. and O., pictured here, a lesbian couple in St. Petersburg. They were violently attacked by two men for holding hands on the street. One of the attackers shouted, "No LGBT." 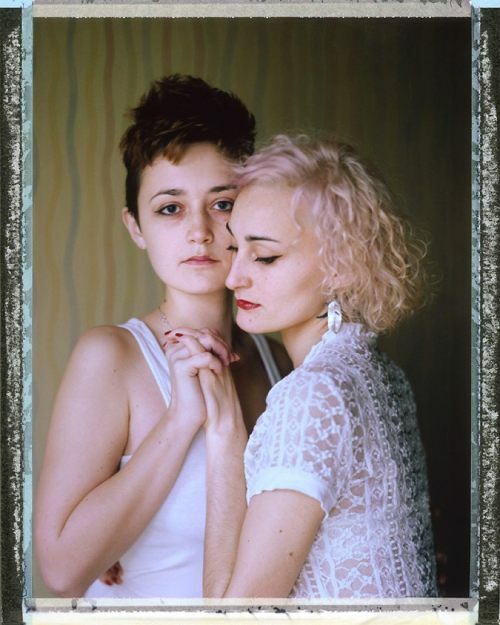 We're sharing @hammond_robin's portraits from places @whereloveisillegal this #nytweekender." By nytimes on Instagram.